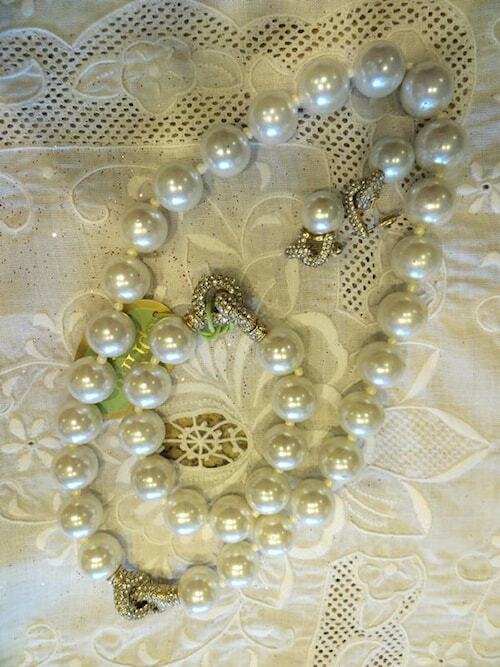 Pearl Necklace, Bracelet and Earrings with rhinestone clasps. 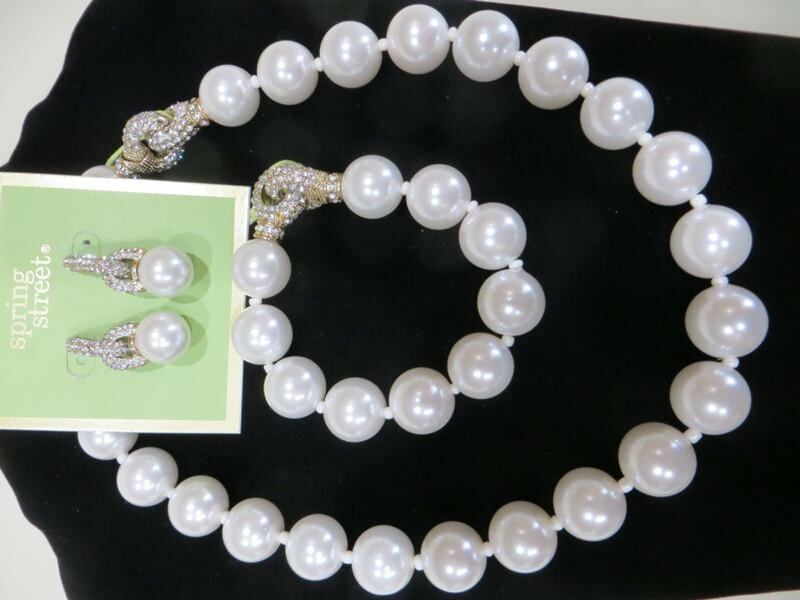 Stunning set of fun jewelry. Lovely on the lady. Easy clasp to attach. Spring Street Designs.